The Huawei P20 Lite is now only PHP12,990. The handset features 5.84-inch display, Kirin 659, dual cameras. 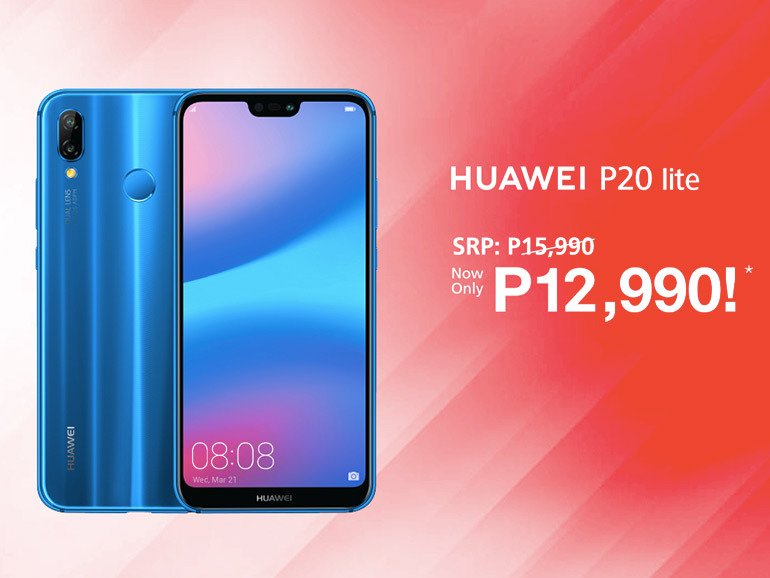 Huawei Philippines drops the price of the Huawei P20 Lite to just PHP12,990, discounting 3k from its original price of PHP15,990. Those looking for a stylish, capable smartphone can look no further. This one has a slim profile with a premium design. It also comes with good dual cameras and the GPU Turbo update. To recap, the Huawei P20 Lite features a 5.84-inch full HD+ 19:9 display, an octa-core HiSilicon Kirin 659 processor, 4GB RAM, and 64GB storage. It has a dual 16MP + 2MP camera, and a 16MP front shooter. The phone also comes with dual SIM support, a fingerprint sensor, face unlock, a 3,000 mAh battery with Quick Charge, and Android Oreo based EMUI 8.0 out of the box.